From K9 dogs to a variety of detection specialties, having a dog trained by those with years of experience is critical to the success of each canine. 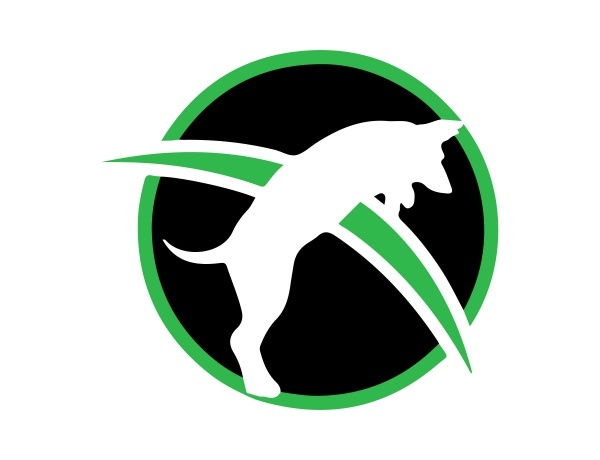 Since 1992, Conifer Canine has offered professional dog training courses & canine handler certification in Kentucky. We have experienced trainers for your canines, but also for you with our dog trainer courses and certification. From basic to advanced, our canine obedience & behavioral training brings clients from all throughout the United States due to our superior reputation. Conifer Canine is recognized by the Veterans Affairs, the Association of Professional Dogs Trainers and many others. Along with these skills, K9 police dogs in Kentucky can present as a psychological deterrent to suspects during potentially dangerous situations of disturbances in progress. We are recognized by the Indiana Law Enforcement Agency in offering personnel support as well as K9 dog and handler training courses. We teach K9 police dogs to respond to situations both on and off leash for added control and to reduce liability. One of the specialties of Conifer Canine is the training of narcotics detection dogs near Kentucky. We can specify the course to fit the needs of your agency or department, including the instruction of passive or aggressive alert. Aside from training drug dog training and drug interdiction training, we also train drug dog handlers. Our drug dog handler courses near Kentucky teach, among other tasks, proper search techniques, evidence handling, avoiding liability and case law involving canine related searches / prosecutions. If you need narcotics detection dogs in Kentucky that can sniff out specific drugs, we can also personalize their training for the detection of heroin, cocaine, marijuana or meth. Trained with a passive alert, explosive detection dogs are a critical member of any bomb squad. At Conifer Canine we train explosives detection dogs near Kentucky that can be imprinted on formulations such as Chlorates, TNT, PETN, Nitrates and RDX. As for handlers, we offer bomb detection dog handler courses that offer the teaching of many practical lessons, along with scent theory and proper search techniques. With the rise of crime at special events, schools, churches, office buildings, etc., security dogs are needed more than ever. Using their exquisite sense of hearing and smell, security dogs can offer a safer alternative to the pursuit and apprehension of suspects with our security dog training courses near Kentucky. Their presence can, at times, deter suspects from even starting a disturbance. Conifer Canine can also train dog handlers and certify security teams. Special events typically equate to a large assemblage, which can in turn, result in additional crimes. Conifer Canine offers patrol dog training courses near Kentucky for added safety to any event. Our trained patrol dogs specialize in handler protection and obedience / tactical training among other things. For patrol dog handlers, we also offer training courses at our dog handler training school. Another one of the specialty services available from Conifer Canine is detection dog training courses near Kentucky. With this, there are also first-class handler courses offered as well for improved handler / dog team dynamics and street results. We train our detection dogs in the search of vehicles, outdoor areas and facilities for bombs, drugs, cadavers and other items. All detection dogs that go through the training programs here are trained in on and off leash obedience, and the general use of detection dogs has had proven results over the years. Successfully track human remains during your investigation by using a professionally trained dog from Conifer Canine. We offer cadaver (HRD) dog training courses near Kentucky that allow canines to find human remains by detecting their odor. We also teach them to alert handlers, problem solve and many other skills. These dog training courses include land and water instruction along with record keeping and more. Scent detection is used for thousands of reasons, including the detection of bed bugs in businesses and facilities. Conifer Canine offers bed bug detection dog training near Kentucky for routine or one-time searches of live bugs and viable eggs. This will allow for the detection of active and old infestations, while preventing your team from moving all of the furniture and tearing apart beds just to try and find one single bug. One of the most popular items of contraband among prisoners, is undoubtedly a cell phone. Correctional facilities report that inmates use cell phones to contact the outside for several different reasons, include escape plans. The experienced team at Conifer Canine offers cell phone detection canine training near Kentucky to provide an option for reducing this easily smuggled problem in prisons. It is very common to have a fear of flying, but it’s possible to provide your passengers with a little added protection in the airport, by staffing a firearms detection dog. Conifer Canine offers training courses for firearms detection dogs near Kentucky, teaching them to sniff out guns and ammunition, as well as how to alert their handler that a problem has been found. Let’s get you and / or your canines ready for the field with our experienced team of dog trainers near Kentucky. Conifer Canine looks forward to providing the residents of Missouri with dog training courses and trainer certification. Contact us for details on the upcoming semesters!